Facing Constructive Criticism: How do you approach this open door? We were also advised to avoid aggression. For example, “I hated it” is not a way to start. Criticism and feedback must be constructive although that doesn’t have to be nasty. As an editor for Dog Horn, there is many a time where I have the realisation of “it’s not working for me” or possibly even a simple “no, not for us” is underlying whilst reviewing a manuscript, however I feel that you should take as much time as you can spare to say why, or suggest other possible routes. This gives the opportunity to not only provide the writer with a new thought process, but also gives yourself the knowledge that the gut felt and often visceral “no” is an action formed on well-rounded thought. As a writer, I have had the recent experience of opening myself and “my baby” (i.e. the novel) to a situation where a person, who was meant to be enabling my process exploration, was frustrated by my works ideas, characters etc that I was attempting to explain. Instead of providing feedback that was measured or balanced, it was simply started that my ideas would not work, and the group moved onwards. During the conversation I had the mind to understand that they were coming from a different background, and perhaps didn’t understand the complexities I was trying to open, not being a formula-led writer. 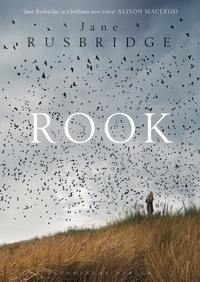 I also knew that I had to get to know my novel a little better as it was still in a very raw draft stage. This on the spot criticism is also something which many authors endure from peers, critics, publishers etc. I had not realised how thick-skinned I am, which was a comfort, but also that I was able to rationalise the position of both the critique and the work. This isn’t something I’ve generally done before, and I know plenty of writers who don’t either. Later, I was sought out by fellow writers in the group, who wanted to ensure I was okay. It was endearing and supportive and I found myself almost blasé about the situation, however it was worth knowing that I wasn’t the only one that felt the critique misplaced or abrupt. Following the earlier interaction, I had the opportunity to receive feedback from another writer who in theory was just as honest as the first but gave thought out, structured criticism that enabled me to move forward into a new direction. As far as I can see, honesty of this type is invaluable and it’s something I feel should always be given. Mslexia asks if this is a good or bad thing, I’d be inclined to say that honesty is the best policy with practise. I’ve always positioned myself as a “blunt” editor, but that straightforward attitude should be seen as a skill rather than brick to hit the piece of work or indeed the writer with! I’d love to know what you think to how criticism should be provided; brick through the window, ring the bell and run away, or perhaps knock on the door for a chat? 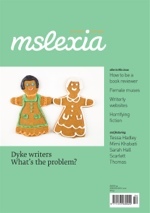 *With thanks to Mslexia; survey info taken from Issue 52, page 21.